Old movies don't fade away, they show up constantly on video or cable. Particularly horror, science fiction and fantasy films have a long shelf life. Now you can find out about the films you may have missed, discover obscure low budget or foreign films, or just become reacquainted with some old favorites. Rediscover or meet for the first time PAPERHOUSE, PIN, BLADES, RETURN OF THE KILLER TOMATOES, SCARECROWS, CHINESE GHOST STORY and the first feature films of Peter Jackson and Jan Svankmajer. 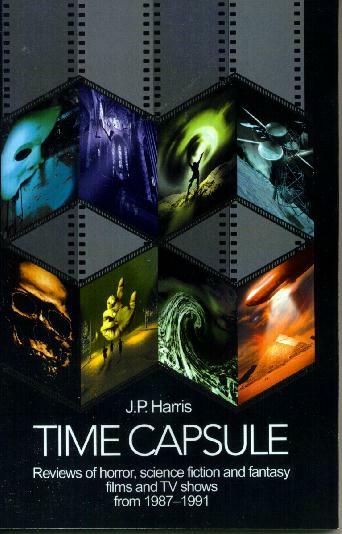 TIME CAPSULE is a collection of 300 reviews of horror, science fiction and fantasy films and TV shows from 1987-1991. This is not a typical book of reviews that encompasses every single genre film, but a snapshot of films and TV shows released in a period when there was a huge output of genre product. Written by a former contributor to CINEFANTASTIQUE, TIME CAPSULE will lead you down memory lane to visit some glorious (and terrible) films and TV shows. ORDER NOW: As they say on television ads, this book is not available in stores.